Farmers on Dartmoor are being asked to share their knowledge and experiences of dealing with sheep scab. The research, led by the Westcountry Rivers Trust on behalf of a small partnership, will help assess the scale of the problem and how farmers treat it. The information will be treated confidentially and could pave the way for more support for sheep farmers in the future. Sheep scab is an acute reaction caused by the parasitic sheep scab mite and can affect the welfare of any flock – however healthy. It causes loss of condition leaving the animal more susceptible to other ailments, leading to extensive skin lesions and potentially death. Infected sheep suffer from sore and itchy skin, so fleece loss is one indication, but vigilance is needed to spot early signs and for a definitive diagnosis to treat it effectively. Lambs born to ewes with sheep scab in pregnancy face lower-than-average birthweights and a higher risk of mortality. Sheep scab can present a major financial hit across the farm business as a result. Mites easily transfer directly from one sheep to another and can also survive off a host animal–including in tags of fleece or on vegetation–for up to 17 days. 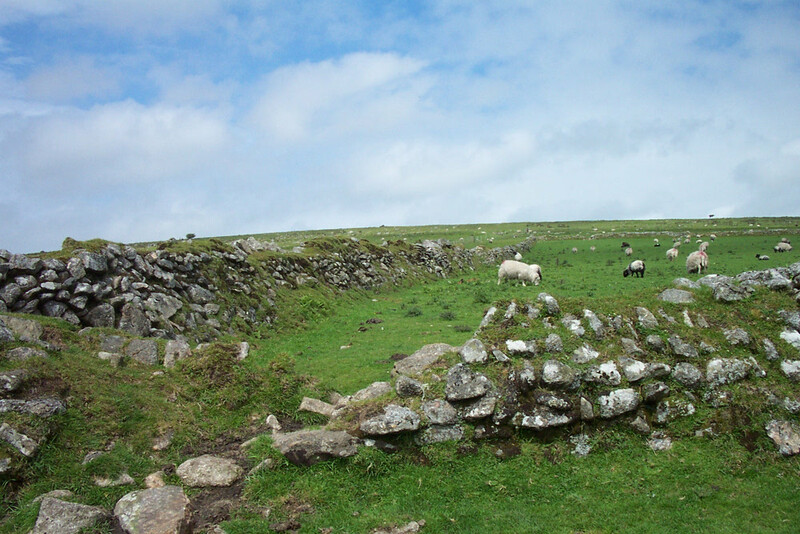 On Dartmoor, land may not be under any one person’s sole management for control as more than one farmer may have access to common areas for grazing, so there is a higher chance of contact between flocks. Sheep also commonly come into contact with other animals that are carrying the disease at markets, or through the introduction of new stock. In 1992 the Government dropped its policy of mandatory sheep dipping, historically used to prevent the disease, as a result of concerns over the use of organo-phosphate chemicals. While some farmers continue to use sheep dip to prevent sheep scab, others instead use regular injections, sprays and other veterinary treatments as protection against infection. However, it has recently been revealed that the scab mite is developing resistance to some treatments. Full immersion dipping also comes with associated problems and risk due to the toxic active ingredients. Its use is strongly regulated to protect the operators and environment, as well as for animal welfare. The Partnership is encouraging farmers on Dartmoor to share their current experiences of sheep scab through a short phone survey – with evidence from farmers forming the basis of the research. They are interested in hearing direct opinion about the spread or increase of scab and what farmers do to prevent and treat this disease, which can spread rapidly through contact and animal movements. This will be supported by a small number of farm visits to understand current infrastructure and practice to manage risk. All information will be anonymised in a report, which will be presented to partners to inform potential future solutions and support for sheep farmers. The Westcountry Rivers Trust will also consult veterinary practices, specialists and farm suppliers to help understand more about how sheep scab is currently being managed on Dartmoor. Hazel Kendall, Head of Land Management at the Westcountry Rivers Trust said: “National research indicates that sheep scab is becoming more of an issue, but we have less solid evidence locally to back that up, only anecdotal or informal feedback. We know that many farmers have now stopped sheep dipping, but there is no information about how many are still dipping and what facilities they have in place to cope with this. “Our research will help us to find out whether or not sheep scab is a widespread problem on Dartmoor. It will also give us more information on the treatments that are being used and their effectiveness. If farmers are still dipping or reconsidering this, we can work with them to build a case for future funding options including training and investment that balances animal welfare, livestock returns with risk reduction for themselves and the environment. The Westcountry Rivers Trust is working in partnership with the Dartmoor Hill Farm Project, Duchy of Cornwall and Environment Agency. The project came about directly from discussions between farmers and vets at a Dartmoor Hill Farm Project event. The aim is to build and collate evidence which will support a case for farmers’ infrastructure and operational needs. Anyone farming on Dartmoor is invited to contact Dave Valder at the Westcountry Rivers Trust on [email protected] or 07498 915616 by 31st March 2018.